A FEW MINUTES before I got down to writing this column, I hadn’t decided on the main topic of discussion. The upcoming World Cup qualifier between Nigeria and Algeria which is just under two weeks from now on November 12, 2016 looked like an obvious choice because that is what everyone is talking about. Notably, Algerian legend Lakhdar Belloumi (one of my favourite African players of all time) weighed into the conversation with a morale booster for his countrymen, reminding them of how Algeria dominated Nigeria during his hey days in the early 1980s, and how the current team were going to do it again. Of course, Belloumi conveniently forgot to mention that Nigeria has equally dominated the more recent clashes between the two countries and that the current Super Eagles will be no push-overs. Indeed, Eagles coach Gernot Rohr signaled his serious intent by releasing a list of 24 wholly foreign-based players over the weekend that will prosecute the crucial game. With such a large crowd of players all coming from Europe, I expect the competition for places in the starting eleven to be very keen because there are no home-based players to be easily pushed aside! Readers, be on the look-out for some big surprises in the Eagles line-up. On a personal note, I am glad that Oghenekaro Etebo whom I campaigned for in this column after our first game against Zambia, is back in the squad. There’s also John Ogu who conducted his own “media campaign” for a call-up and several others who will get their first chance to convince Rohr. But clearly, it is in defence that the Eagles have their biggest challenge, so it’s important that Rohr picks a solid back four and an equally solid defensive midfield to thwart the Algerians. If we secure our defence properly (thank God, Leon Balogun is back to shore up the central defence), chances are that our talented forward line will find a way to slot in one or two goals to win the match. I wasn’t going to discuss the Nigeria–Algeria game today because I still had next week leading to the game to talk about it, but see how far I have gone already! Well, it’s never too late to refocus, so let’s leave the World Cup qualifiers for now and talk about this weekend’s 2016 Federation Cup final. A brand new winner is set to emerge in Nigeria’s oldest and, some would say, most glamorous football competition. Yes, the “Challenge Cup” Final is here again! My first visit to the National Stadium in Surulere, Lagos was as a 13-year-old boy in 1977, four years after the famous “Sportscity” hosted the 1973 2nd All-Africa Games for which it was originally built. I went with my mum to watch the closing ceremonies of the first Africa Festival of Arts and Culture (FESTAC ’77). It was a very colourful and exhilarating event that remains permanently etched in my memory. Simply unforgettable. It wasn’t until four years later that I returned to ‘Sportscity” for my first live big game, the 1981 FA Challenge Cup Final between Enugu Rangers and Bendel insurance of Benin. Rangers won the match 2-0 with a goal in each half. I recall vividly that the cry on the lips of every Rangers supporter in the stadium on that day was “revenge”, Insurance having disgraced Rangers 3-0 in an epic 1978 final, just three years before. After my 1981 “debut,” I would go on to watch the next five finals at a stretch from 1982 to 1986. I would go with my friends and spend six to seven hours on the queue before the 4.00pm kick-off. After the match, we would trek most of the way home (later school, when I was at the University of Lagos). As we went, we would discuss and analyse the match we had just watched. Going to the stadium then was a whole day’s affair. The final that stood out for me in that era was the 1986 final between Leventis United of Ibadan and Abiola Babes of Abeokuta. Two years earlier in 1984, Leventis, who were in the lower division, had shocked the high-flying and big-spending Abiola Babes 1-0 in the final. This (1986) was supposed to be pay-back time but Leventis, specialists in securing 1-0 wins at the time, scored early again through their dangerous midfielder Bunmi Adigun. Thereafter, Abiola attacked ceaselessly from every angle and pinned the John Mastoroudes boys to their half of the pitch for the rest of the game, but they couldn’t cancel out the lone goal. That was another epic encounter. Naturally, I continued my romance with the FA Challenge Cup Finals when I commenced my journalism career in 1987. Since then, I have watched many more finals in and outside of Lagos. The first final that I covered as a reporter was the 1988 final in Ibadan where Iwuanyanwu Nationele beat Flash Flamingoes 3-0 in a one-sided match. I also recall covering the 1992 final in Makurdi which saw the late coach Shaibu Amodu’s El-Kanemi Warriors beating Stationery Stores 2-1. But none of these more recent finals left indelible marks in my mind like the epics of the early 1980s. I have often wondered why this is so. One plausible explanation is that the quality of the football has deteriorated over time. Another reason could be that the intensity of the rivalry between the clubs of the latter era has waned, compared to the earlier era. But one other reason that I think is critical in my estimation of the different ears is my age. As an impressionable youth with few things to worry about, I think I found my early stadium experiences quite spectacular and longed for it. But when the finals became serious “work” and I had to worry about post-match interviews and writing match-reports, I guess that took away part of the fun. I hope that I can experience some of the fun again this weekend when the 2016 Federation Cup Final is played at the Teslim Balogun stadium in Lagos. The protagonists, FC IfeanyiUbah of Onitsha and Nasarawa United of Lafia, are making their own debuts in the final, so we are guaranteed to see a brand new champion in Nigeria’s oldest football competition. However, it is difficult to pick a favourite for this final. Although, IfeanyiUbah (4th) finished far ahead of Nasarawa (11th) on the Nigeria Premier Football League (NPFL) table during the recently-concluded 2016 season, both teams shared the spoils in their head-to-head clashes. 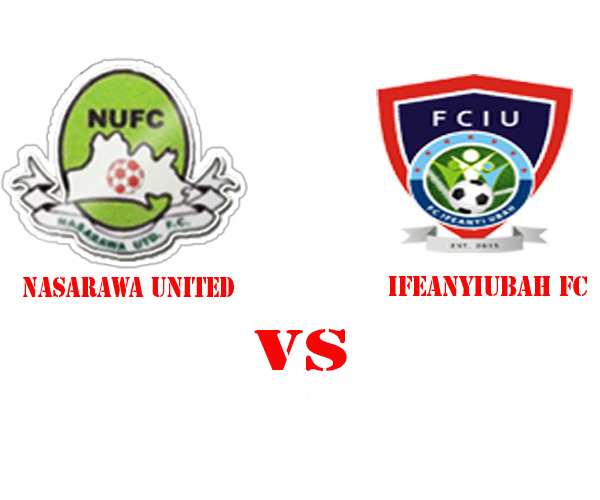 IfeanyiUbah won 1-0 at home in Onitsha in week 2, while Nasarawa returned the favour with an emphatic 4-2 victory in Lafia in week 22. To reach the Cup final, Nasarawa also “killed” Aba giants Enyimba in the semi-final while IfeanyiUbah stopped giant-killers Crown FC of Ogbomoso in a controversial second semi. The Cup winners on Sunday will fly Nigeria’s flag in next year’s CAF Confederation Cup. If you’re reading this and you’re based in Lagos or nearby, I suggest that you be at the stadium to watch and also take your kids along. The Federation Cup Final is here! 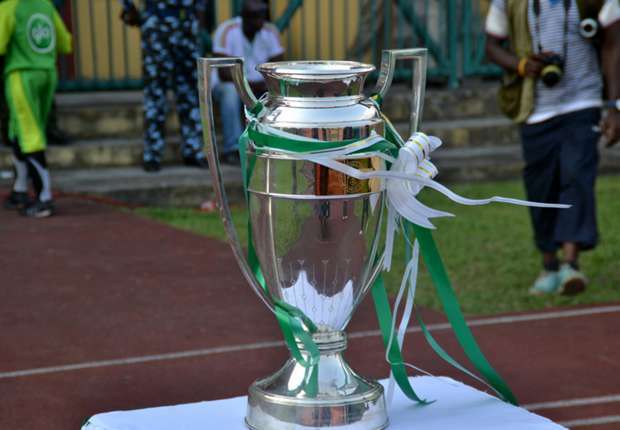 · ONE of the downsides of the Nigerian Federation Cup at the moment is a lack of sponsorship and prize money. Apart from the trophy and the CAF Confederation Cup ticket, the winners on Sunday will go home virtually without cash in the pocket. For a competition of such magnitude and historical significance to suffer such neglect in a so-called football-crazy country of 170 million people is an anathema. It just doesn’t add up. This situation was not brought about only by the current economic recession in the country. Since 2008 when Coca-Cola ended its 10-year sponsorship, the Cup has not had another reliable & corporate financier. The Nigeria Football Federation (NFF) has been going cap in hand to beg various State governments to host the competition. This is not supposed to be so. Two weeks ago, the English FA announced a fresh Billion Dollar deal for its flagship Cup competition, the FA Cup. It sold television rights for the Europe and Middle East markets for £245million pounds (about $300million dollars) for five seasons beginning from 2018/19. It also sold rights for the Rest of the World territories for £575million pounds (about $700million dollars) for the same five-year period. These are guaranteed payments from TV rights selling agencies Pitch International and IMG respectively. These do not include other numerous revenue sources. Closer to home, the Nigeria Professional football League (NPFL) increased the prize money for the league champions this past season to N60million, amongst other acts of buoyancy. Surely, the NFF has to learn a few more things about how to prouctively market its properties including the Federation Cup rather than blame all its shortcomings on the recession and bad publicity all of the time. Necessity AND creativity are the purveyors of invention. · I DON’T have enough time and space to write about Kunle Solaja today. It suffices to say that he is the Lionel Messi of Nigerian football records, QED. Last week, Kunle posted on his Facebook wall full details (date, venue, opponent and result) of the 99 World Cup qualifying matches Nigeria has ever played. He then informed the whole world that Nigeria’s next game against Algeria on November 12 will be our 50th home game and 100th overall. Of course, since then, every journalist has been using that information to embellish their reports on the game, thanks to Kunle’s Library. Like Lionel Messi, Kunle Solaja is simply priceless! Thank you, sir. Next week: We resume the 2016 World Cup campaign, #SoarSuperEagles. 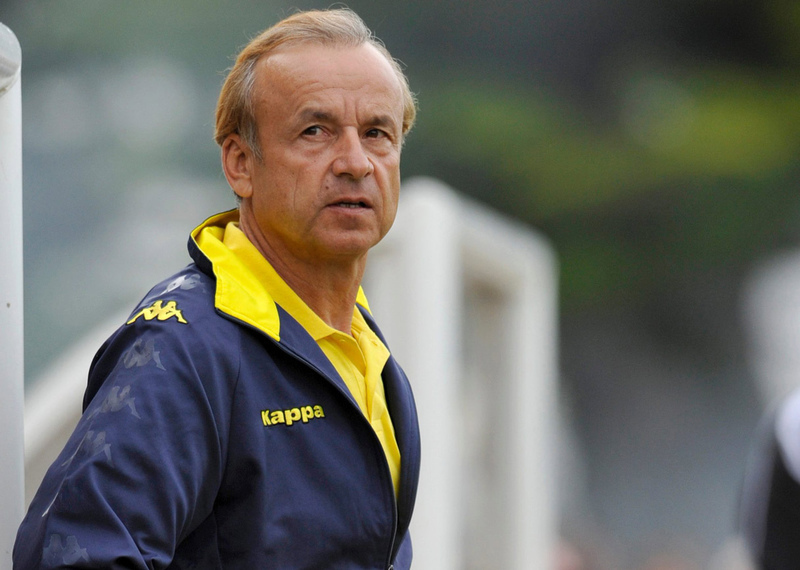 · I am not surprised, Mumini that Rohr was not “summoned” to defend players invitation. This is Nigeria, “Oyinbo na Oyinbo” (apology to Osaze). However, Rohr was “wrong” for not inviting home based players simply because of their inactivity. Early 90s, late Thompson Oliha and Uche Okafor played wonderful football for the Super Eagles and at some stages were clubless! – Omolaja Igbekele, Ikorodu, Lagos. · Alhaji Alao, the late Stephen Keshi (MON) lost his job mainly because of his disagreement with the Technical Committee on player selection. They said he was proud and lacked respect for “his superiors”. NFF regards indigenous coaches as incompetent and inferior to white coaches. – Aminu I.B, Ilorin. · Mumini, I’m not surprised that the technical committee is not probing Gernot Rohr’s team selection. He is doing well for now, so the committee is right to let him have his way. It may not be the same otherwise. Remember we are still a third world country and still need time to reach the level you are expecting. – Patrick Ogbu. · You are very correct with your piece on NFF Technical Committee’s interference in time past. Please let the campaign on bringing back Stationery Stores start now. – Olayinka Oresile, Ifako Ijaiye, Lagos. · Something tells me that this new generation of Super Eagles will fly again. With talents like Iwobi, Iheanacho and others and a good manager, Nigeria will crush any opposition. If we get things right, winning two consecutive U-17 World Cup is supposed to have laid the foundation for that. If Germany can produce World Cup winners from the 2009 European U-21 champions, why can’t we? Players like Nwakali and Osimhen should add flavor to our team in a few years. – Adelowo Q. A, Osun State. · The NFF’s undemocratic Game of Exclusion is evil. How can 88 members want to be the only ones eligible for these positions in NFF in a country of 170 million and still counting? Their big brother CAF has a similar clause on its statutes. They MUST be stopped. – Uba Stephen Igwe. 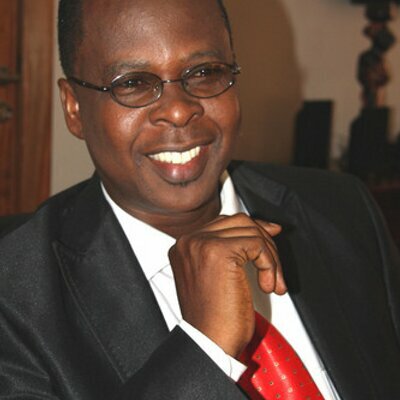 · Amaju Pinnick’s NFF board never learnt any lesson from what befell Ibrahim Galadima and Sani Lulu while in office. In their desperation to keep others out from management of Nigeria football out of greed and selfishness, they would soon be bundled out of office. – Jide Abayomi, Igando. Lagos. · Mumini, your column is as excellent as before. But your comments on Stationery Stores fell short. Please never forget players who through Stores made Peter Osugo great in Late 60s when the national team, Green Eagles, was composed of 90% Stores players. Sam Opone, Olumodeji, Mazelli, Oshode, Lawal and others.– Femi Awoseyi, ex Stores and Shooting Stars goalie, Lead City University, Ibadan. · Hi Mumini, thanks for the return of Soccertalk. Please keep the page alive for as long as possible. Why do you always keep away from talking about your two beloved clubs (Liverpool and Shooting Stars). Please I want you to help make Shooting Stars great again. – Sanni-Shokoti. Sango. · Dear Mumini Alao. I am a regular reader of not only your column but of Complete Sports since inception. I want to inquire why Mathematical Odegbami is not writing his analytical and thought-provoking, revealing essays on football again? – Deacon Babatunde Johnson. *You can read Odegbami in Complete Sports on Sunday or go to www.completesportsnigeria.com. · Hi, Mumini. I’ve bought and read almost all publications of CCL since the late 80s till this morning. Your gift of incisive analysis is worth celebration. More grace insha Allah! And it’s good to know you attended Iganmode Grammar School (my mum’s from Otta). – Tajudeen. *Up Iganmode grams! Say hi to your mum, Tajudeen. · Alhaji M. Alao, thanks for calling off your unannounced holiday. Now that you are back, you are also bringing back some of us to Complete Sports. We look forward to more unbiased sports analysis. – Adewumi Fatai, Alagbado.